Each year, Celent (www.celent.com), a leading research, advisory and consulting firm that focuses on financial-services technology, surveys life insurance company CIOs and asks them about their priorities for the coming year. 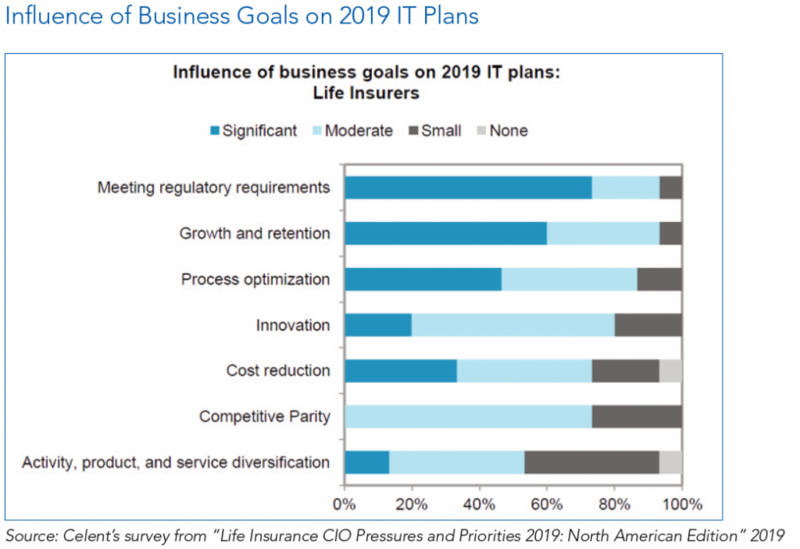 In order to meet their business goals, life insurance CIOs must make decisions about each application in their application portfolios such as replacements, significant improvements, routine maintenance or no investment. And, one application that CIOs should put at the top of their lists to help meet regulatory requirements in an ever-changing world is Customer Communication Management (CCM). Life insurance is one of the most regimented and regulated industries in business. From the enforcement of internal company guidelines to federal and state mandates, the scope of compliance is vast. The past several years have seen an unprecedented number of new regulations aimed at protecting customers and shareholders of insurance carriers. As a result, an insurer’s compliance function, its compliance activities and all associated technologies it deploys in the process will need to evolve as regulations and oversight continue to change. While compliance is not new, the energy and action that insurers are devoting to this area have reached new levels. While most insurers have a central compliance function that has the responsibility to track key compliance events such as market-conduct exams, regulatory inquiries and fines and sanctions, more and more insurers are strengthening the compliance role at the business-unit level, and more IT projects such as CCM are becoming directly tied to improving compliance. Unlike other industries that manufacture and deliver physical products, the value that a life insurance customer experiences is a result of the interaction they have with their insurer and the perception of how well the insurer has delivered on the promise of the insurance contract. For insurers, customer communications play a key role in shaping that value. The quality of customer communications can make or break relationships. Communications that are consistent, informative and accurate across multiple channels are the linchpins of exemplary customer service and equally as important, compliance. Insurance communications are subject to a large number of regulations. Everything from legal language and the timing of communications to the fonts and layouts must adhere to regulatory requirements. In addition to federal regulations, every insurer must understand and comply with regulations for every state where they do business, for every coverage that they write and for every communication that they deliver. Moreover, there is a steady stream of changes to these regulations that number in the thousands per year for the average insurer. Every insurer that is currently using Microsoft® Word, an internally developed system or an existing software module within their core administration suite to generate communications is struggling to ensure that each communication meets compliance. Simply stated, these traditional approaches are putting businesses at significant risk. Plagued with document templates stored on users’ hard drives scattered across the organization, manual “cutting and pasting” of data into communications and lack of automated data synchronization makes ensuring compliance with these technologies almost impossible. Yet, despite the warning signs, many insurers remain tethered to their legacy systems. Once at the forefront of technology, these legacy communications systems are unable to keep pace today and leave insurers vulnerable. CCM significantly reduces the burden and costs associated with laws and regulations through the centralized management and monitoring of communication templates and content components as well as comprehensive audit facilities to highlight when things change. 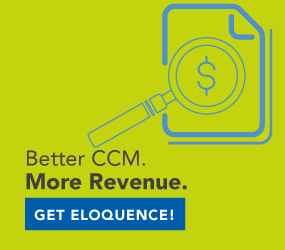 With CCM, approved content can be stored in a central repository and used across multiple communication templates. Even if other components within a template allow for user edits, administrators can “lock” compliance-oriented components to prevent changes. CCM also enables structured reviews of communications prior to delivery and supports variations to ease the management of content inclusion or exclusion based on effective dates and jurisdictions. All of these capabilities allow compliance teams to support other groups that create communications (such as Policy Servicing or Claims) and reduce regulatory fines, manual operations and associated rework. The capabilities of a modern CCM application enable compliance professionals to capitalize on their regulatory expertise while improving communication efficiency and effectiveness to deliver real value, build trust and expand customer relationships. In their pursuit of meeting all regulatory requirements, life insurance CIOs across all segments—small, midsize and large—are wrestling with the challenges of a disruptive landscape as well as investment decisions for each application in their portfolios. One application that CIOs should actively consider to meet their regulatory requirements is Customer Communication Management (CCM). CCM applications provide the tools every insurer needs to acquire new customers, retain existing ones and extend customer relationships through better, compliant communications.